2014 marks the beginning of the 9th year since Christinna and I founded Fulcrum. Almost a decade ago, when we chose the name Fulcrum—which means the point on which an object balances—we were one of only a handful of wineries putting the idea of balance front and center. Today, the idea of balance has become central in any thoughtful discussion of great California Pinot Noir. On April 15th, we will be offering a special prerelease of our highly anticipated 2012 wines. While there is incredible excitement throughout the wine industry about the 2012 wines, the deep-rooted Pinot Noir lover in me always feels that any true assessment of a vintage comes over years as you watch the wines mature and evolve. This said, 2012 is a vintage that offers beautiful nuance and complexity. These are sophisticated, soulful wines. And of course, because they are Fulcrum wines, they are wines of balance, each with a distinctive sense of personality derived from the places they were grown. This year, our 2012 Anderson Valley Pinot Noir and On Point Christinna’s Cuvee was made using grapes from an exciting new addition to our vineyard portfolio – renowned winegrower Mary Elke’s acclaimed Donnelly Creek Vineyard. Mary has been farming Pinot Noir since 1978, and planted Donnelly Creek in 1991. Like many of our vineyards, it’s a warmer site in a cool region, which allows us to achieve the levels of ripeness we want, while ensuring the poise and restraint we love. The vineyard is composed of creek-side blocks of vines bordered by steeply terraced vines, and is planted with several different clones of Pinot Noir. We individually fermented three of these clones, allowing us to underscore the complexity of the site. With its effusive dark cherry notes, balanced acid and brooding layers of moist earth, there is an essential Anderson Valley-ness to the Pinot from Donnelly Creek that is incredibly compelling. I often get asked how I approach the blending of our Fulcrum and On Point wines, and what the main differences are between them since they come from the same exceptional vineyards. With both Fulcrum and On Point I strive to capture the meeting point between grace and strength, but each achieves this in a different stylistic way. Every barrel of wine is really an individual ecosphere, shaped by numerous factors including vineyard, clone, pick date, fermentation time and temperature, yeast selection and much more. As I evaluate each barrel, some will be darker, have more pronounced tannins and more complex structures. These become Fulcrum wines. Others will be more vibrant, with softer tannins and the immediately alluring personality that defines On Point. Again, these are stylistic distinctions, not quality ones, that showcase how eloquently diverse Pinot Noir can be, even from a single vineyard. Back when we founded Fulcrum in 2005, there was very little talk about balance. These days, everyone talks about balance, but what does it really mean? For me, balance isn’t something that can be boiled down to Brix levels, or alcohol and new oak percentages; it requires a more holistic view of viticulture and winemaking. At the heart of my vision for Fulcrum is the idea that more is not always better, and that a wine should offer a seamless combination of fruit expression, acid, tannin, alcohol, oak influence and age-worthiness. This has been the goal of my wines since day one. It is what excites me, and speaks to my palate as a winemaker and a wine lover. Simply put, I make the kinds of wines I love to drink and love to share with friends. While I am not usually one to pick a favorite wine from a vintage, I will bet that our 2012 Brosseau Vineyard Pinot Noir, Chalone AVA will, be many people’s pick for best wine of the vintage. It is ridiculously good. It’s pure and gorgeous with a long, explosive finish that goes on forever. It is also a stunning example of what I love about the Chalone AVA. 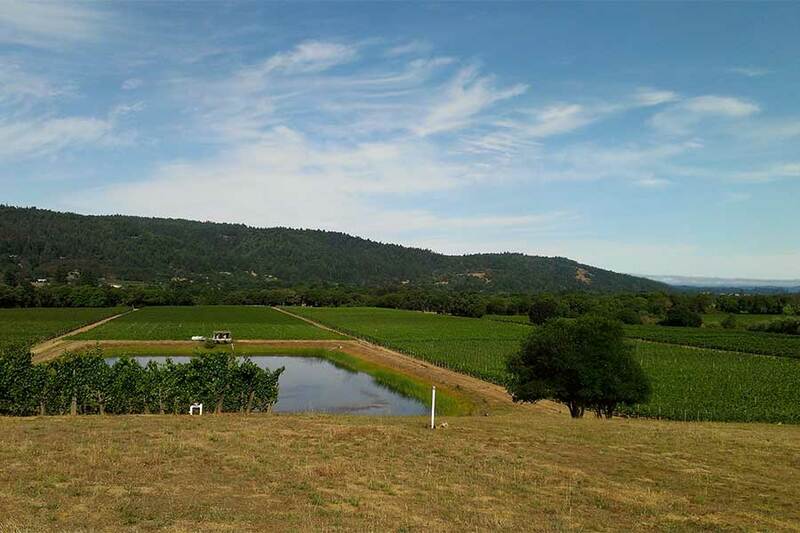 Located high in the Gabilan Mountains, between Monterey and San Benito counties, Chalone is a very small appellation with just six vineyards in it, totaling less than 300 acres of grapes. With so little fruit coming from the Chalone AVA, it’s not as well known as it should be. 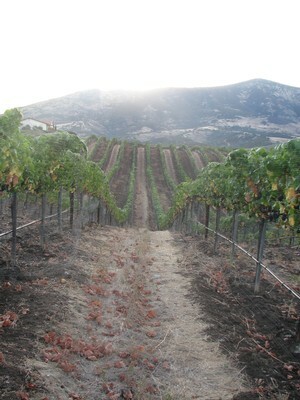 The AVA has unique limestone and decomposed granite soils that stress the vines, concentrate flavors and impart a sophisticated minerality to the wines. At the same time, the AVA is above the fog line and has high daytime summer temperatures, but with very cool night-time weather—factors that preserve acidity and enhance balance. If you aren’t familiar with this appellation, it’s one I recommend you get to know.